One of the worst nightmares a homeowner can have is a flooded basement! Not only is it a horrible inconvenience, it can also significantly lower the value of your property. No matter what the cause of a flooded basement might be, Done Right Carpet Restoration Inc. offers you its state of the art equipment and 20 years of experience. Our industrial pumps will remove the water quickly and efficiently. Our high velocity fans will dry the area in no time at all. Our experience in dealing with mold, mildew, fungus and water that might be contaminated will keep you and your family safe. Our water damage restoration skills will have your basement available to you again in no time at all. 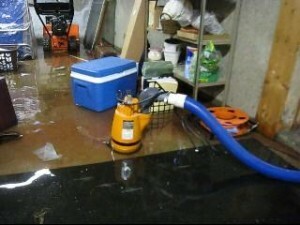 If there’s water in your basement, Done Right Carpet Restoration Inc. must be your first call!